Please notify me when Vasindux Home PEMF Mini Mat is in stock. What Makes the Vasindux Home Mini Mat PEMF Therapy Systems Unique? The Vasindux Home Mini Mat is the result of years of research. Manufactured in Europe, the Vasindux Home Mini Mat is a pulsed electromagnetic field device designed to improve cellular health. The pulsed magnetic fields assist in revitalizing the body at the cellular level. With 6 preset programs and adjustable intensity, this system provides an easy to use but effective option for home use. The Vasindux Home Mini Mat offers easy to use home therapy. The PEMF (Magnetic Resonance) programs, are based on the principle that the Earth’s magnetic field is best for creating a healing environment within the body through natural processes. The 6 coils, evenly distribute the magnetic field throughout the mat enabling everyone to get the best therapy for different parts of the body. The Vasindux Home PEMF System has been proven to promote the body’s natural regeneration processes starting at the cellular level. This includes the regeneration of blood vessels, as well as healthier tissue, cells, and nerves. The Vasindux Home Mini Mat measures 16 x 32 inches, and has a flexible design making it easy to use in your home, office, or to transport it to a friend’s home to share the benefits with them. The Vasindux Home Mini Mat has a field strength of between 2.5 and 70 Microtesla depending upon the setting you choose. The Vasindux Home Mini Mat uses a sine wave, which studies have shown to be effective for cellular stimulation and regeneration. Pulses originate from the mat so that they can directly impact nerves and cells with gentle, pulsed electromagnetic fields. This gentle stimulation is what helps recharge the body after it has been under environmental or emotional stress or physical injury. 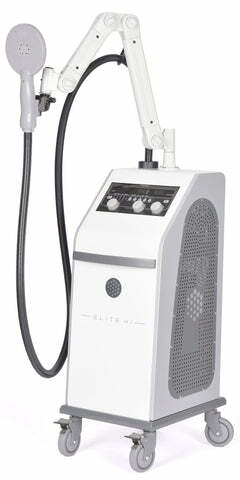 Individuals may experience different results with PEMF Therapy. Some report that they notice a difference on their first use of a mat. Others have reported results within as little as a few days to a few weeks or longer. It is best to be patient. Your body deserves it! It is important to use the mat on a soft surface. Using the mat on the ground or uneven surface can cause damage to the coils inside as well as the overall structure of the mat. Are multiple people using the same mat? If multiple family members are using the mat, you may want to lay a sheet over the mat. Keeping your Vasindux Home Mini Mat clean is important.